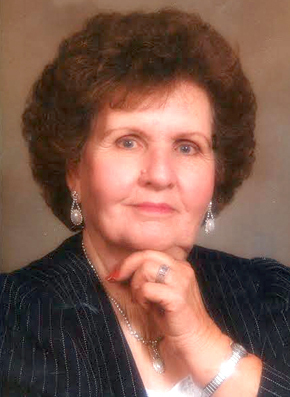 A service to celebrate the life of Faye Antee, of Artesia, will be held at 2 p.m. Tuesday, Dec. 15, at Trinity Temple Assembly of God. Antee, 92, went to be with our Lord and savior Thursday, Dec. 10, 2015, at San Pedro Nursing Center. Andy Harris will officiate the services, with interment to follow at Woodbine Cemetery. Pallbearers will be all of her grandsons and great-grandsons. Honorary pallbearers are all residents of San Pedro Nursing Center and all of the musicians and singers who sang so many songs at the nursing home. Visitation will begin at 10 a.m. Monday at Terpening & Son Mortuary. Faye was born April 28, 1923, in Llano, Texas, to Lee Skurlock and Vendla (Dahl) Skurlock. On Sept. 5, 1958, she married Phillip Antee in Lovington, and the couple came to Artesia in 1963 from Texas. She was a cook and caregiver for many years, always giving love and joy to all she met. Many know her as the lady who cooked the six-for-a-dollar hamburgers at the Flair on Main Street. She was also a volunteer with the Hospital Auxiliary as a Pink Lady, active in the Senior Center as a line dancer, and enjoyed opening up the senior music on Saturday night in the cafeteria. Faye loved spending time with her family and friends every chance she got. She had a heart for service and enjoyed helping other residents at San Pedro. She was known to greet many new residents with open arms and a smile. She was also known by many as Auntie Faye and Mother Hen due to her heart of gold, her compassion and willingness to help, and always having a hand to hold. She was loved by many and cherished by her family. Survivors include her daughters, Vanda Lockhart and husband Fernando, Deloris Mansell and husband James, Shirley Simmons and husband Leon, and Wilma Brannan and husband J.D., all of Artesia, Janie Urban of Odessa, Texas, and Frankie Priest and husband Earl of Carlsbad; sons Melvin Mosley and Lonnie Pierce, both of Odessa, and Richard Pierce of Artesia; 15 grandchildren; 23 great-grandchildren; four great-great-grandchildren; and special friend and roommate Diane Strickland. She was preceded in death by her parents; husbands Red Mosley, Richard “Slim” Pierce and Phillip Antee; son Arthur Ray Mosley; brothers Oscar Skurlock and Lewis Skurlock; sister Dorothy Mae Haton; grandsons Kevin Rhoads, Bruce Mansell and Christopher Bratcher; daughter-in-law Barbara Mosley; and sons-in-law Alvie Hooten and Jack Lockhart.